Aurum Property Partners specializes in leasing and managing medical office properties, offering an unparalleled level of oversight, supervision, accountability, and client service not found anywhere else in the market. The Bradley Professional Building is a four‐story, on‐campus building offering the best medical office space in the market. The property is in very good condition and is leased to a strong mix of tenants. Tennova Healthcare – Cleveland (the adjacent hospital) occupies 31% of the building on a long‐term basis. Aurum Property Partners manages and leases the property on behalf of a Joint Venture (JV) Partnership between MedProperties Realty Advisors and Aurum Property Partners. Hialeah Medical Plaza is a five-story medical office building comprised of 67,957 square feet of rentable space. The building was built in 1982 and renovated in 2011. It is strategically located in the heart of Miami-Dade County, three miles from Miami International Airport and six miles from Downtown Miami. The building is on-campus, connected to Hialeah Hospital, a 378-bed Tenet hospital, and shares direct access to a five-story parking garage. Aurum Property Partners manages and leases the property on behalf of Virtus Real Estate, LLC, a private equity firm located in Austin, TX. A medical investment fund related to Aurum Property Partners sold the majority interest at a substantial profit. The fund retains a minority interest in the property. Monterey Medical Center is a four-story multi-tenant medical office building and a single-story surgery center comprised of 64,747 square feet of rentable space. The buildings were built in 2003 and 2011 respectively. The property is located two miles from Martin Medical Center, a 244-bed Martin Health System Hospital. Aurum manages the property on behalf of a publicly traded real estate investment trust. Seacrest Professional Plaza, a two-story, medical office building comprised of approximately 31,747 square feet. The building was built in 1979 and features an on-site MRI and a strong tenant mix of specialties including orthopedics, pain management, OB/GYN, endodontics, laboratory and internal medicine. The building is located across the street from Bethesda Hospital East, a 401 bed not-for-profit hospital, and one mile from the Woolbright Road/I-95 interchange. Aurum Property Partners manages and leases the property on behalf of a private physician-owned entity. The Cardiologist of Lubbock Medical Office Building is a Class A one-story medical office building with a basement comprised of 27,280 rentable square feet. It was built in 2004 and is 100% occupied. 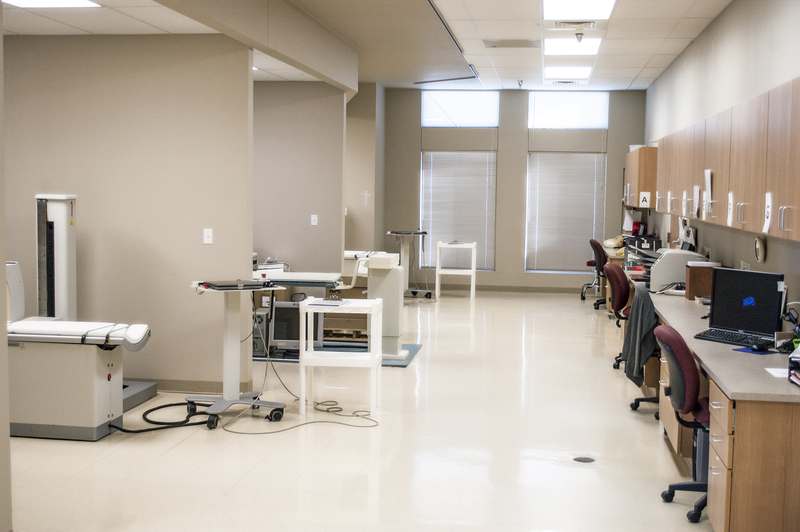 The property features state-of-the-art diagnostic equipment, laboratory services, x-rays, echo-cardiograms, and nuclear stress testing capabilities. It is located on-campus of the Lubbock Heart and Surgical Hospital, a 73 bed physician-owned hospital. The property and is easily accessible on North Loop 289, near US Route 84. Aurum Property Partners provides asset management services for the property on behalf of Global Medical REIT, a publicly traded REIT located in Bethesda, MD. The Conrad Pearson Clinic is a Class A single-story medical office building comprised of 33,777 rentable square feet. The property was built in 2002, is 100% occupied by three tenants and features an ambulatory surgery center. The property is located in the affluent Germantown suburb, 14 miles east of Memphis, Tennessee, and is located just four miles from the Baptist Memorial Hospital – Memphis, the flagship hospital of Baptist Memorial Healthcare. The property is easily accessible on Wolf River Blvd, near Interstate 240, US Route 72 and S. Germantown Parkway. Aurum Property Partners provides asset management and consulting services for the property on behalf of a publicly traded real estate investment trust. Essex Valley Medical Arts is a four-story multi-tenant medical office building comprised of 60,442 square feet. The building is located on the campus of East Orange General Hospital in East Orange, New Jersey. The property is 100% occupied and master-leased on a long-term basis by Prospect Medical Holdings, Inc., which owns and operates East Orange General Hospital. Aurum sourced the acquisition for Global Medical REIT, Inc. and assisted with negotiations and due diligence. Aurum currently provides asset management services for the property. FMC Medical Mall l is a two-story medical/professional office building comprised of 138,000 square feet of rentable space. The project was built in 1978 and renovated in 2011. It includes ample surface parking and prominent building signage. It has excellent access and visibility, located at the intersection of Oakland Park Boulevard and the Florida Turnpike. The project is adjacent to Florida Medical Center, a 459-bed hospital, owned and operated by Tenet Healthcare Corporation. Aurum Property Partners manages and leases the property on behalf of a medical investment related to Aurum. © 2016 Aurum Property Partners, All rights reserved.